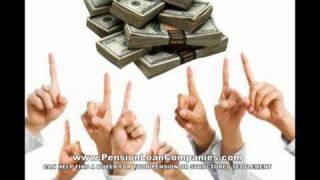 Learn More About PensionLoanCompanies.com and how we can help you get the Lump Sum of Cash Your Looking For! I have just retired from Law Enforcement and I will be getting my pension starting in November. I know how much I will be getting my question is do I have to wait until I start getting my pension to get a quote? Pension Loan Companies & Advances Very Welcome Joe, let us know if you have any other questions about our pension leveraging, pension advance services. Very Welcome Joe, let us know if you have any other questions about our pension leveraging, pension advance services. I am trying to find out more about "Pension Advances" for myself and my husband. My husband is a retired teacher and his pension pays him $2600 every month. I have retired after 20 years from a Civil Service job and I currently bring in $1800 every month. We would like to know if its better to fill out one application for a "Pension Advance" or if we should both fill out separate applications and each get a quote for your "Pension Advance" or "Retirement Income Leveraging Program"
Pension Loan Companies & Advances Hi Rebecca, and thanks for your question. Depending on what your goals are, paying off bills, buying a home or starting a business the answers may differ. you may only need a "Pension Advance" to finish paying off your home of $20 or $30 thousand so only using one of your pension streams may be the answer. On the other hand if your looking for a larger lump some to start a business or pay for a $150,000 dollar home you may want to see what you both can qualify for. Remember you want to make sure that what you have left coming in after the "Pension Advance" or our Leveraging program that you still have enough to live on. I would suggested that you both fill out our online application and we can show you what you both qualify for separately that way you can make the best choice with all the options we provide you. Hi Rebecca, and thanks for your question. Depending on what your goals are, paying off bills, buying a home or starting a business the answers may differ. you may only need a "Pension Advance" to finish paying off your home of $20 or $30 thousand so only using one of your pension streams may be the answer. On the other hand if your looking for a larger lump some to start a business or pay for a $150,000 dollar home you may want to see what you both can qualify for. Remember you want to make sure that what you have left coming in after the "Pension Advance" or our Leveraging program that you still have enough to live on. I would suggested that you both fill out our online application and we can show you what you both qualify for separately that way you can make the best choice with all the options we provide you. Hi I am a US Veteran and I currently get my VA Pension. I also worked in Law Enforcement for over 20 years. I currently receive both pensions. $2400 from one and $3200 from the other each month and was wondering as I have other investments that bring in about $2500 a month (Rental Properties) can I get an offer on both my VA pension and my Sheriffs Pension? Pension Loan Companies & Advances Great questions, no you are not limited to just one or the other, we have had a few individuals who wanted a huge lump some of cash for investments and leveraged both of their pension streams. 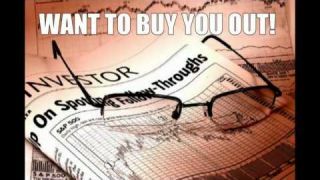 Great questions, no you are not limited to just one or the other, we have had a few individuals who wanted a huge lump some of cash for investments and leveraged both of their pension streams. PensionLoanCompanies.com offers our clients a way to leverage their currently incoming pension or retirement payments into a lump sum of cash. If you would like more information about what some Call an Pension Loan or Pension Advance, then click on the Pension & Annunity Information Group that would describe the current pension your looking to leverage.